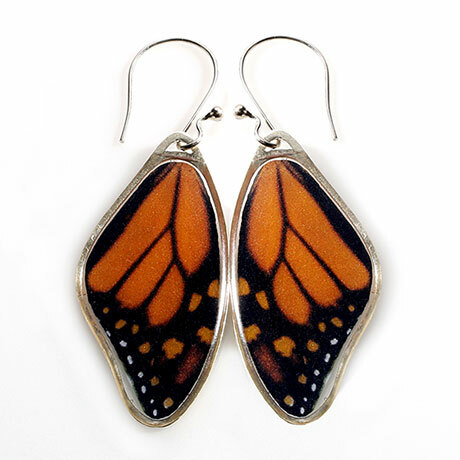 Monarch butterflies are the most beautiful of all butterflies, some say, and are considered the king" of the butterflies, hence the name "monarch". Notable for their annual migration of thousands of miles and multi-generational return north. Its natural habitat is slowly disappearing. Earrings are individually handcrafted in California using an art print image of this beautiful butterfly, encased in a crystal clear resin and sterling silver. Earrings hang 2 ¼" from sterling silver earwires. Storycard included.